Louie's Tux Shop of Marion, Indiana is located in the Collins Plaza on Baldwin Avenue and features our full assortment of wedding tuxedos, wedding tuxedo accessories and wedding invitations. Family owned and operated since 1948. 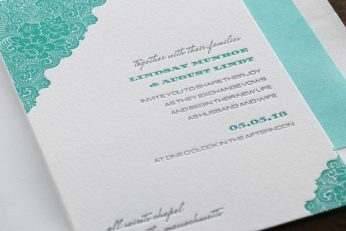 Color coordinate with all dress manufacturers like David's Bridal, Dessy and Mori Lee. At Louie's Tux Shop you will receive exceptional service all the way up until your wedding day and our formalwear specialists will make your tuxedo experience worry free. This Louie's Tux Shop samples all merchandise in the store including every tuxedo style, tuxedo vest and formal bow ties and tuxedo shoes. Grooms are encouraged to take any tuxedo for a test drive at their leisure, we offer this service to all registered wedding parties at no charge. Groomsmen can come in without an appointment for their tuxedo fittings and will be promptly taken care of and each of your wedding party members will be able to try their tuxedos on at the location prior to the wedding. Wedding Wire consistently awards Louie's Tux Shop their Best Of award and guarantee you will receive that high level of service at Louie's Tux Shop. Whether your wedding party is small or large, Louie's Tux Shop will exceed your expectations and deliver wedding tuxedos that have an incredible fit at the very best price. 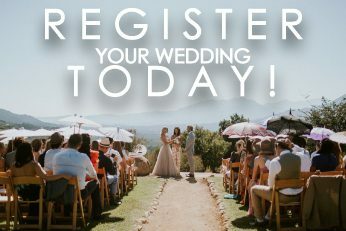 Register your wedding party of five or more and receive free invitations from Carlson Craft! Choose from the finest designers such as Michael Kors & Ike Behar, best price guarantee. 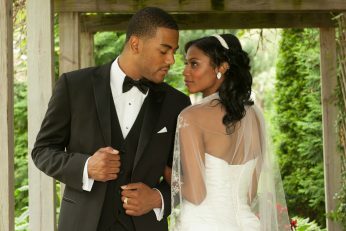 Take advantage of the very best wedding promotion exclusively at Louie's Tux Shop!